John O'Sullivan is Editor-at-Large of National Review. In his memoir of the Thatcher administration, Nigel Lawson, her Finance Minister, gives a droll explanation of the Foreign Office’s reasoning on the proper use of the veto in European Union deliberations. The survival of the veto was a vital British interest, ran the F.O. line. So whenever any other country used the veto, the F.O thought that Britain should support it irrespective of the merits of any particular case. On the other hand, Britain should never cast a veto in its own cause because that might put the veto at risk. Hardly surprisingly, David Cameron’s decision on the 10th of December to veto the establishment of a new fiscal union of seventeen Euro-land countries within the EU treaty structure was the first occasion when a British leader has actually cast a veto to defend vital British interests. John O'Sullivan is Editor-at-Large of National Review. Published by Bantam, Robin Harris book can be purchased at Amazon. “Read biography,” said Disraeli, “for that is life without theory.” Robin Harris is very far from being a devotee of the Disraeli cult. Modern conservatives, he believes, misinterpret both Disraeli and Gladstone by exaggerating those of their ideas that still have purchase today and by ignoring those things they cared most about at the time. But he has taken Disraeli’s advice on biography further than the Master in two senses. The first sense is that he has written a biography of the Conservative party in all its twists, turns, efforts, failures, achievements, and—not least—occasional nervous breakdowns since its early beginnings in the rhetoric of Burke and the statecraft of Pitt the Younger. I write “biography” rather than history because this book traces the ways in which the Tory party, much like a human being, has changed in response to the large social changes of two hundred years while retaining more or less the same identity throughout. Former Special Adviser to Margaret Thatcher, John is now Editor-in-Chief of the international affairs magazine, The National Interest, Editor-at-Large of the magazine the National Review, and a Senior Fellow at the Hudson Institute. The first step is to face reality. Gordon Brown will probably win the next election and, if he does not, the likely reason is that he will have been defeated by events in the real world. But be of good cheer. “Project Cameron” has been only a modest contributory factor to this discouraging prospect. Its first phase—“I’m a Celebrity, Get Me out of Opposition”—never really took. It won few converts and gave a general impression of frivolity and cynicism which Brown has shrewdly exploited. Its second phase—here are the in-depth conservative policies at long last—has hit an obvious obstacle: any serious conservative policies are likely to clash with the fashionable postures of phase one, generating both ideological confusion and media embarrassment. See the coverage of the Redwood-Wolfson report. Some journalists, justifying their own predictions, camouflage these failures with the line: “But Cameron has made the Conservatives electable again.” Really? A party that was only four points behind Labour in the 2005 election was always electable. Polls today show that the Tories, after a short bounce largely attributable to Blair’s unpopularity, are back to that level. So “Project Cameron” has not really improved matters but, on the other hand, the crisis of Toryism was never as deep as the more masochistic modernisers believed. A Tory revival is perfectly possible, though not guaranteed, if the party keeps its head and acts sensibly. First, don’t strategise in public. It gives the impression, mentioned above, of insincerity and cynicism and subtly devalues any political or moral commitment you make. Policies should be justified on the grounds that they are good for the country, not that they are useful devices for getting elected. Former special adviser to Margaret Thatcher and Editor of America's National Review, John O'Sullivan CBE made this tribute at this afternoon's memorial service for Lord (Ralph) Harris. In 1962 when I was vice-chairman of London University’s Queen Mary College Conservative Association—well, we all have to start somewhere—I telephoned Miss Beryl Turner, who superintended Tory undergraduates, to ask her to send a speaker to our beleaguered little band. She suggested a Mr. Ralph Harris of the Institute of Economic Affairs. For some reason I was suspicious. Maybe I confused the IEA with the NIESR or some equally subversive body. At any rate I made inquiries and discovered that this Harris was in fact a Liberal! I rang back to warn Miss Turner. She kindly disguised her amusement. In giving me this assurance, Miss Turner hit several nails firmly on the head. Ralph was a much sounder Liberal than anyone who has recently led the Liberal party. He carried the banners of freedom of thought, speech and enterprise with complete fidelity to their great 19th Century exponents. Other postwar Liberals tailored those ideas to suit the reigning fashion of statism; Ralph demonstrated that statism was the problem and liberalism the solution. He was, indeed, a very sound Liberal. Miss Turner, of course, meant something else: that because Ralph was faithful to the liberalism of Cobden and Bright, he was therefore a sound Conservative in today’s terms. And there she was more right than she knew. For as others have pointed out, Ralph—along with Arthur, John Wood, Antony Fisher, and the other IEA pioneers—led an intellectual revival of liberalism that went on to capture the Tory Party. Ralph was the man who invented Thatcherism—not without a little help from Keith Joseph, Geoffrey Howe, Nigel Lawson, and the Lady herself. And Thatcherism was the blending of economic liberalism with love of country, moral traditionalism, and the restoration of failing British institutions. Ralph was happier with these more conservative aspects of Thatcherism than others in the great IEA movement. He was a devout Anglican. 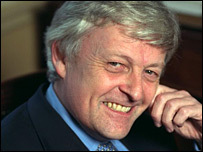 He had composed sound Tory editorials for the Glasgow Herald. He had written a favorable biography of R.A. Butler. He had been a tutor at Swinton Conservative College where, fifteen years later when I succeeded to the same post, I discovered he was remembered and loved and where he invariably answered Reggie Northam’s desperate appeals for an emergency speaker. He had even stood for parliament as a Conservative. “But I’m going straight now,” Ralph would protest when this past was dredged up. Indeed, when he became Lord Harris of High Cross, he took his seat on the crossbenches. Maybe he had discovered that it is sometimes easier to be a Conservative outside the Conservative Party. It was after the great battles of the 1980s had been won, however, that Ralph emerged in his truest conservative guise—as the non-partisan organizer and exponent of innumerable unfashionable causes from the rights of smokers to Euro-skepticism. With his pipe, stick, trilby, and endless good humor, Ralph in these years reminded me of A.P. Herbert’s great creation—Albert Haddock, the trouble-making campaigner against the insolence of bureaucrats, who once—you may recall—when the Inland Revenue taxed a prostitute, sued the Commissioners for living off immoral earnings. I can imagine Ralph doing that because he did so many similar things to check the gentlemen in Brussels as well as Whitehall. Ralph embodied the liberalism of principle combined with the Toryism of fun. He fought bravely and wittily for lost causes that, surprisingly often, he proceeded to win. And if he sometimes tilted at windmills, maybe that was because—unlike Don Quixote—he could foresee what a pointless nuisance windmills would turn out to be. 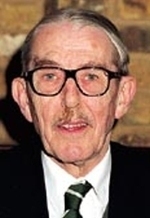 Former special adviser to Margaret Thatcher and Editor of America's National Review, John O'Sullivan CBE pays tribute to his friend Frank Johnson (pictured) who died last week. One Monday morning in the early summer of 1973 when I was returning by train from a weekend with friends, I opened my copy of the Telegraph to scan the editorial page. I had a fierce semi-proprietary interest in its contents. Only six months before I had joined the paper as a parliamentary sketch-writer and leader-writer. Frank Johnson had come on board the same week in the same combination of jobs. Together with Michael Harrington, an editorial writer who enjoyed six months seniority over us, we made up the “Young Turks” who were supposedly pushing the Telegraph towards a more libertarian conservatism. In any event we three were agreed on the need for a more combative conservative “line,” and with the passionate suspicion of young men, we watched for any deviation from it. The big issue of the moment was the Watergate crisis. Not even Michael, Frank and I were agreed on that last. Frank had declared early on that Nixon was plainly guilty; Michael and I were sticklers for constitutional due process and the presumption of Nixon’s innocence. So far our side had prevailed. But Frank was alone on leader-writing duty that weekend. I opened the paper with some trepidation. My fears were confirmed: an editorial titled “An American President” listed a long catalogue of crimes of which the president had been “plausibly” accused: burgling the offices of his opponents, misusing the security services for partisan warfare, overriding the constitution, etc., etc. The editorial was appalling, a clear breach of collegial etiquette, an outrage. Something would have to be done. Then I turned to the second paragraph. It read something like this: “Yes, Salvador Allende of Chile has been accused of all these crimes—and not without reason or evidence.” This was a very good example of Frank’s editorial writing. It was witty, indirect, wove two different themes together to illuminate both, and it was deeply conservative. Not many Fleet Street journalists then or later were brave or principled enough to take on the saintly left-wing Allende. But Frank managed to do so while leaving the Left few grounds either for responding effectively or for denouncing him. When I rang to congratulate him (and to admit that I had risen to his bait), he laughed, confessed that he had written the leader with me partly in mind, and said: “But when I pulled the rug out from under you, I also pulled it out from under the Left—but from the opposite direction.” He was quite right. His conceit had made it hard to complain about the attack on Allende without exonerating Nixon too. Most of the obituaries for Frank, excellent though they have been, have played up his sense of mischief. But they have either ignored or underplayed the stern unbending quality of his conservatism, his anti-Allende side. That is understandable. To be sure, his conservatism shifted back and forth between different schools of thought depending on events, the topic under discussion, or his guru of the moment. Sometimes he was the Tory cynic, a follower of Maurice Cowling, who thought that all politics was about the next by-election and that principles were an irrelevant distraction. On other occasions he was helping Peter (later Lord) Bauer to hone his economic critiques of foreign aid. Frank was a curious journalist exploring current controversies not a professor of philosophy seeking the reconciliation of all his values (which professors of philosophy now tell us is impossible anyway.) Almost always, however, he gravitated to the conservative side of any argument, and on the great political issues of his life he was a devout monetarist and a firm Cold Warrior. After a 1975 meeting with Milton Friedman in America, Frank emerged dazed: the great man had answered all his objections before he had had a chance to raise them. Because he was known to hold such opinions, he was consulted by Keith Joseph about the establishment of the Center for Policy Studies in 1974. When Keith was preparing his famous “Preston” speech that formally signaled the breach between the Heath leadership and its monetarist critics, he asked Frank to play the part of a hostile journalist interrogating him at a press conference. Frank thought this the greatest fun and he became a regular attendee at the lunches of the Center for Policy Studies where the Thatcherite agenda was first sketched out. No one present when the TUC’s Len Murray attended one of Bill Deedes’s Telegraph drink parties could have doubted that Frank had digested the full Thatcherite creed. Murray was arguing that the workers in a failing company deserved financial compensation because they had “invested their lives” in it. “I would be a little wary of that argument, Lord Murray,” I said politely, “because if that were so..."
”When the company went bankrupt, the workers would all drop dead,” interjected Frank. In those days too, a heated conversation in the press gallery tea room was likely to be about the Vietnam War. Frank was one of a small band who supported the South Vietnamese and their U.S. allies. He had read widely in the classics of anti-communism—it was Frank who recommended “Witness” by Whittaker Chambers to me—and he predicted the horrors that followed the victories of Hanoi and the Khmer Rouge. Such horrors had, after all, attended almost every other communist take-over. Well, as we know, the campaign developed rather differently. But Frank remained loyal and on board with only one small hiccup: at a small Reform Club dinner a few days before the first leadership vote in 1975, Frank asked Mrs. Thatcher what she would do after the election. “I shall be leader of the Tory Party, Frank,” she said. “No, I mean really,” said Frank. “Frank,” she replied, “if I didn’t think I could win, I wouldn’t run. I don’t take on losing battles.” Maybe we should have listened to her words more carefully. At any rate, Lady Thatcher, Frank and Virginia, Ken Minogue and I reminisced about these early battles of Thatcherism over a long weekend lunch at Brown’s restaurant this Spring. It may have been the last time they met. If so, it was a fond farewell. Frank went on from 1975 to be involved somehow or other in every Tory leadership struggle, always backing the right-wing runner—notably last year when he was a firm if despairing supporter of David Davis. They were right about that. As one obituarist observed, Frank hated to be “one of a gang”—especially a victorious and complacent gang. He had been keen to rally to the Thatcherite standard in the embattled seventies but once it had triumphed, he wanted to demonstrate his independence. He was not only a believer in individualism, he went to the extreme length of being an individual. The purely political aspect of this individuality was that he liked to distinguish himself from any conservative orthodoxy. Again, however, he usually found respectably conservative grounds for doing so. Then again, like a good individualist, Frank was many-sided. He loved music, opera, ballet, literature, history, good food, and conversation from long before he arrived in Fleet Street. He devoted more time and thought to these pursuits as time went on. The shift of emphasis in his later writing towards opera, history, etc. occurred in part because the great political battles of the 1970s and 1980s had been resolved in favor of liberty. He had fought the good fight. The lesser battles interested him much less. Now, quite logically, he was using the liberty he had defended to explore and enjoy the good life. That good life was completed by a late and entirely happy marriage. Virginia Fraser created around him that rare thing in London—a political salon—with a foreign branch in his house in southern France. At his table you would find a Tory leadership hopeful, an opera singer, a newspaper editor, a New Labour peer, a veteran of the Thatcher years. The conversation was history, politics, music, literature, and wonderfully complicated jokes—Virginia had created for Frank the kind of high Edwardian table that as young men in Fleet Street we had long ago fantasized about. Still, as with high Edwardian tables, a good deal of Tory plotting went on around it. It sounds odd to say so, but the last years of Frank’s life, though plagued by cancer, were tranquil and happy. The restlessness and striving of his Fleet Street days had left him. He was delightfully happy in his marriage. He had become what he wanted to be since his secondary modern schooldays in Shoreditch (and what in reality he had been all along): a genuinely civilized man. And he leaves behind a large body of writing characterized by wit without malice. At his death his friends have learnt that we loved him more than we knew. We will miss him more than we can say.